Bertazzoni professional series 36 5 induction zones segmented cooktop. 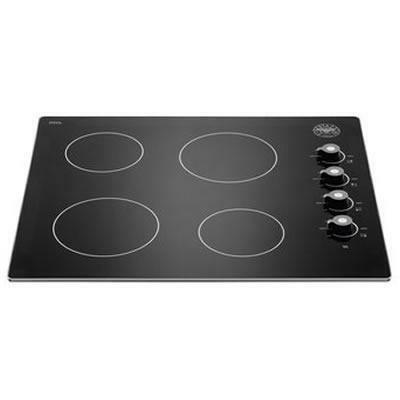 Induction cooking is fast with minimum heat up times and saves on energy. There is no waste of stored or residual heat; practically all the energy is used to heat the pan. Also, there is no waiting for elements to heat up; full power is available immediately. 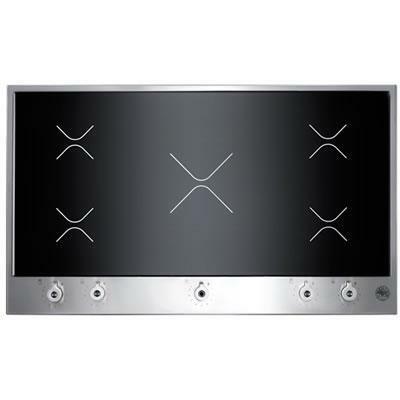 The Full-width induction cooktop has knob controls and five heating zones. Black glass ceramic tops are smart, contemporary and easy to clean. Power Output Induction (4x with booster): 1400/1800W; Induction (1x with booster): 2400/3000W. Burner/Element Size Induction (4x with booster): 5 11/16" Diam. ; Induction (1x with booster): 10 1/4" Diam. 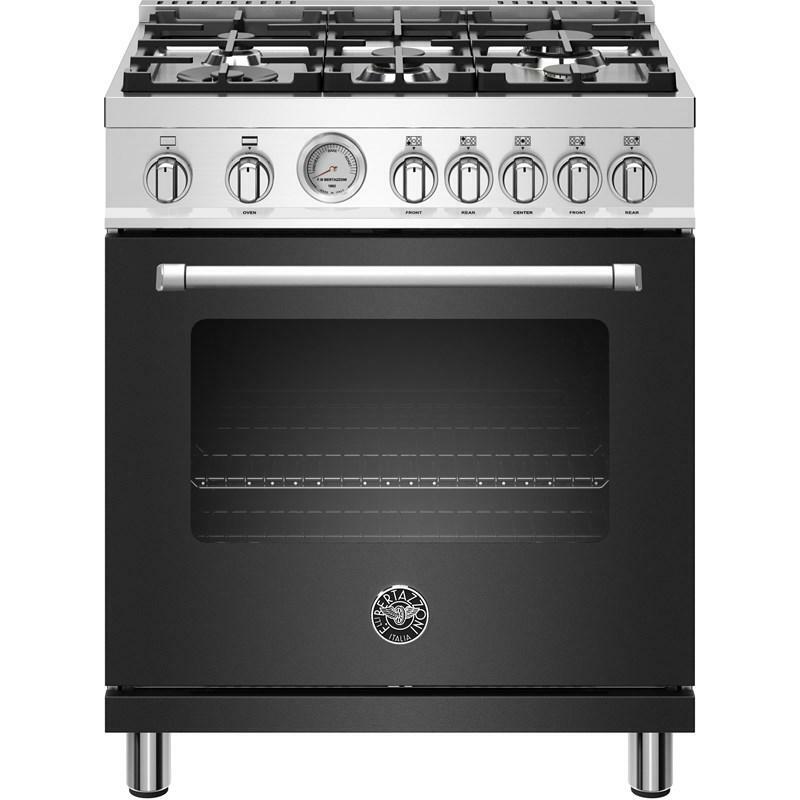 Additional Information Black ceramic glass with stainless frame; Metal knobs control; One-hand ignition; CSA certified. Additional Dimensions Cut-out height: 3 1/2 in; Cut-out depth: 19 11/16 in; Cut-out width: 33 7/8 in. This Bertazzoni Master Series 30-inch gas range features 5 sealed burners, convection with dual horizontal fans and a simmer ring.